Free State Brewery, Free State Brewing Co., Inc. 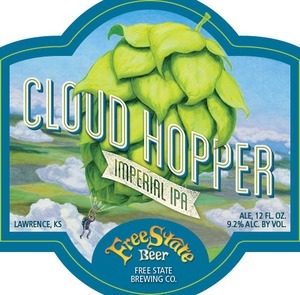 Cloud Hopper Imperial Ipa is brewed by Free State Brewery, Free State Brewing Co., Inc. in Lawrence, Kansas. This brew is poured from a bottle or can. We first spotted this label on June 6, 2013.